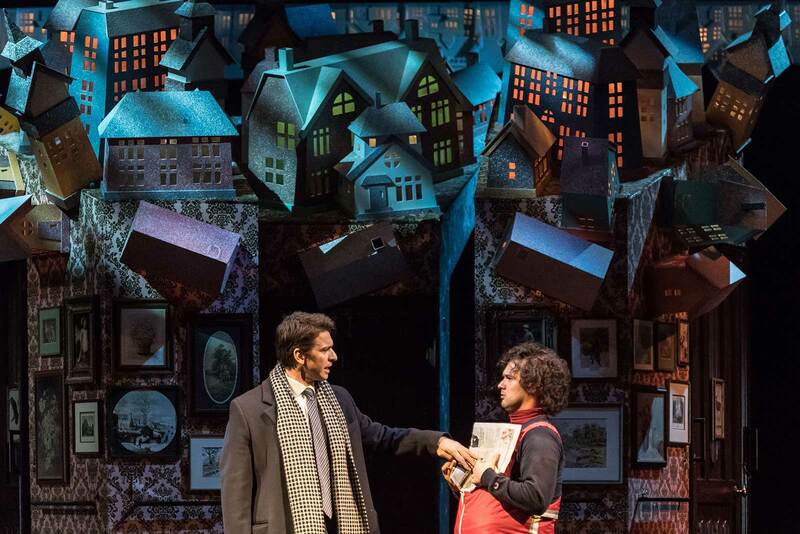 This is the first time we have worked with London-based set designer Rob Howell, who is well known for his costume and set designs on the London stage as well as on Broadway. Over the last 20 years he has been nominated for numerous awards for his set and scenic designs, resulting in a Tony Award, two Drama Desk Awards as well as three Olivier Awards. The Groundhog Day musical, based on the popular 1993 film starring Bill Murray, first showed at the Old Vic Theatre in London before then having a spell on Broadway. The show was critically acclaimed and also went on to win several awards. 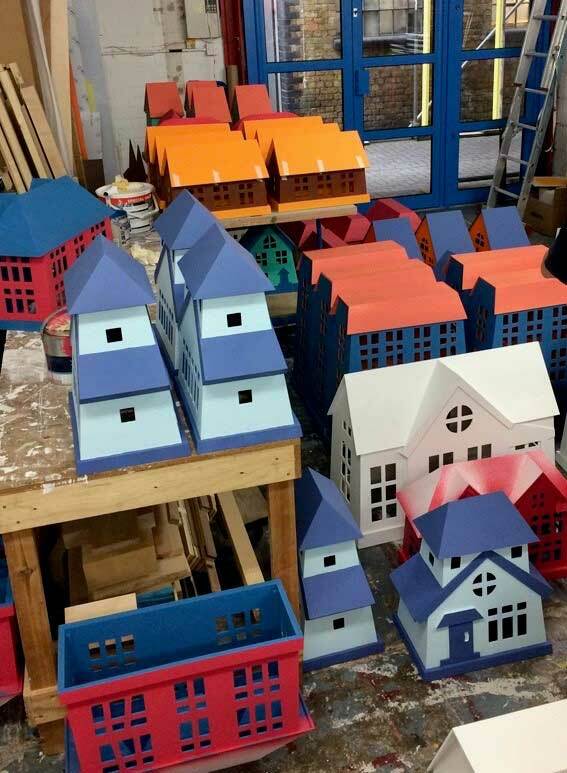 For this inspired set design we produced 150 model houses of various shapes and sizes from CNC machined PVC Foam sheet. We then lovingly hand painted each one with various shades of emulsion. 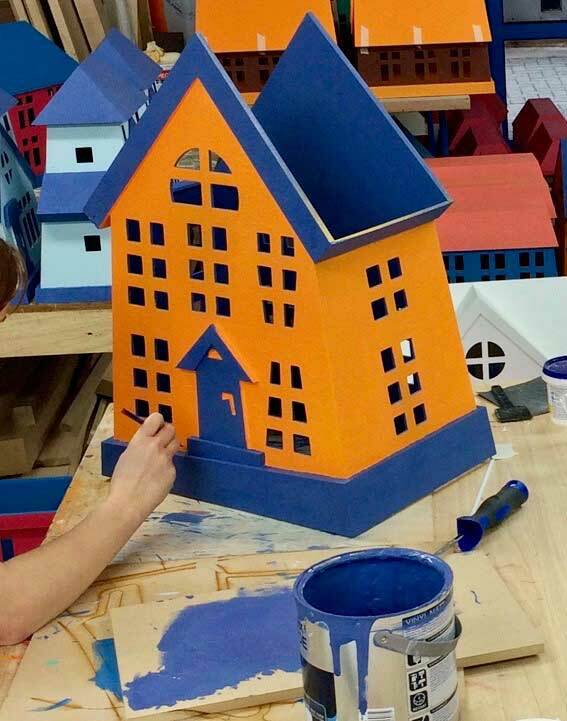 The houses took six weeks to make and even though the finished models were delivered to the theatre in batches, at times our workshop was totally taken over by these miniature buildings. It was crucial that the model houses were made of fire retardant material and had the desired effect when illuminated. The first house we produced was thoroughly tested before we then got the go ahead for the rest of the production run. This was a fun and inspiring project to work on and we were incredibly proud to be invited to the press opening and see the finished stage set in all its glory.